High End, High Quality Work Horse Card Printer. The title says it all for this superbly built retransfer card printer. 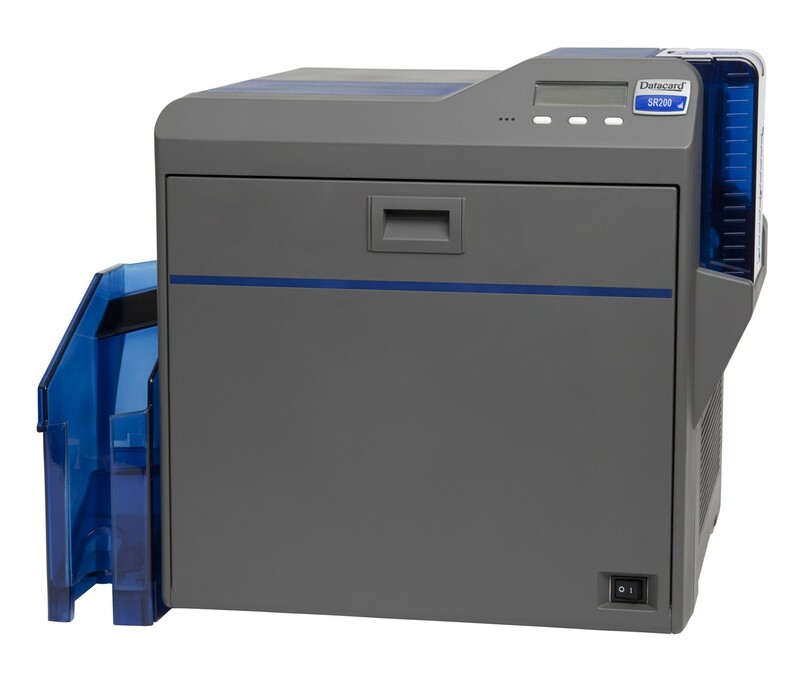 One look at the Datacard SR200 and SR300 Retransfer card printer and you can see why it would take something serious to slow this printer down. This work horse card printer can keep up with even the largest of demands; from Government issued licences to employee ID cards. The Datacard SR200 and SR300 card printers produce some of the highest quality over the edge print while maintaining flexibility in encoding and security features. Superior colour over the edge retransfer printing. The SR200 and SR300 print cards using a technology known as retransfer printing. This method of card printing enables a high quality, completely edge to edge printing on many card materials; such as PVC, PET, PET-G and Polycarbonate. Card printer security that's as advanced as you. 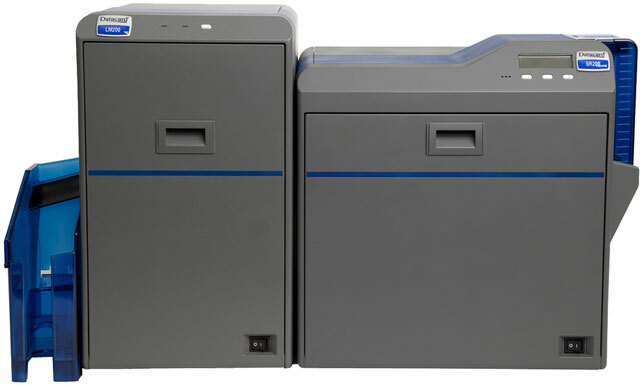 These card printers secure data transfer through certificate and key management IPsec. Then after printing the text on the black panal can be erased to ensure the printied details are not left on the used ribbon to protect the card holders privacy. With the ability to encode contact and contactless smart cards and print a high quality full over the edge colour print, makes the Datacard SR200 and SR300 the ideal choice for any smart card printing and encoding. Pair the Datacard SR200 or SR300 with an optional laminator to increase the security and life of every card you produce with the Datacard LM200 or LM300 laminator. The LM200 and LM300 laminators help increase security by decreasing the counterfeiting and alteration of an ID card by laminating the cards with patches, top coats, overlays, laminates or two layers of InTM film.